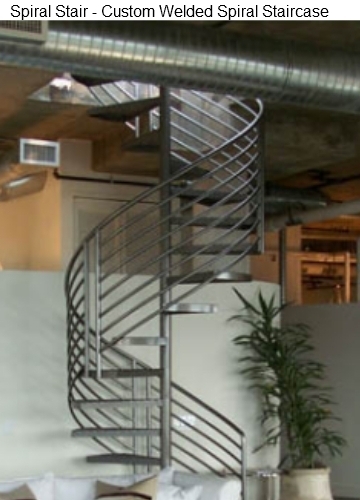 unique patterns. 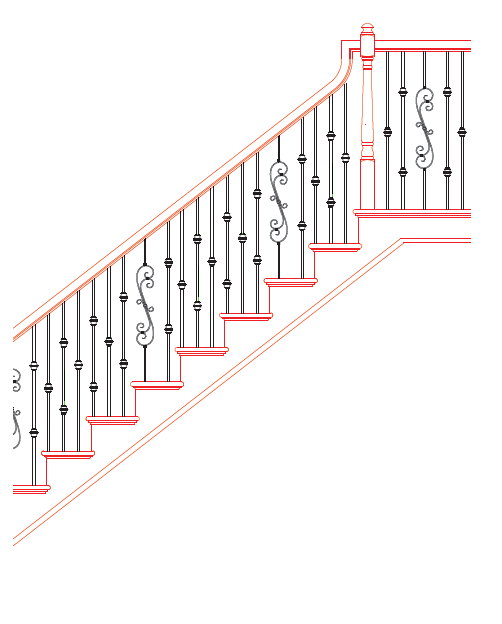 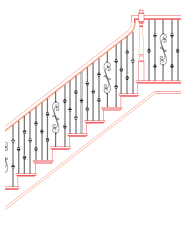 We often update this page with new baluster patterns so check back often. 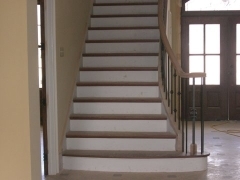 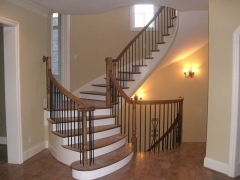 The straight staircase is the most common type of staircase found in homes today. They work well in areas tight on space and come in different variatioins named for their shapes. 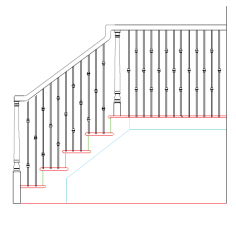 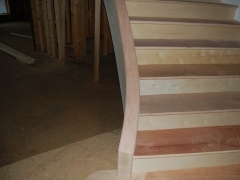 You'll often find us describing straight staircases as an "L-Stair", "T-Stair" and even a "U" stair. 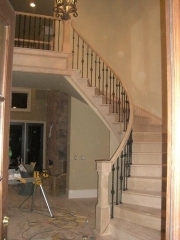 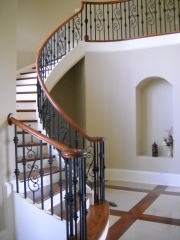 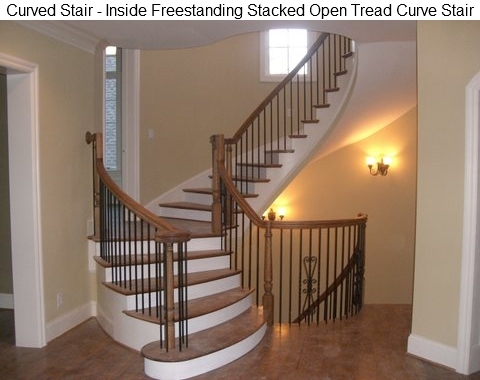 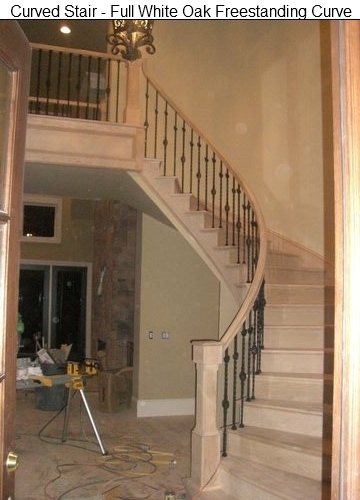 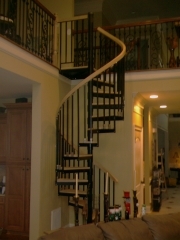 Curved staircases are one of the most stylistic of options and are often used as a statement upon entering a home. 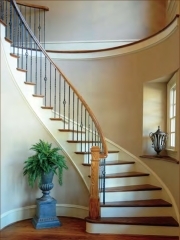 A curved staircase can be made freestanding on the inside and/or outside radius and can even have open or closed treads with curbing. 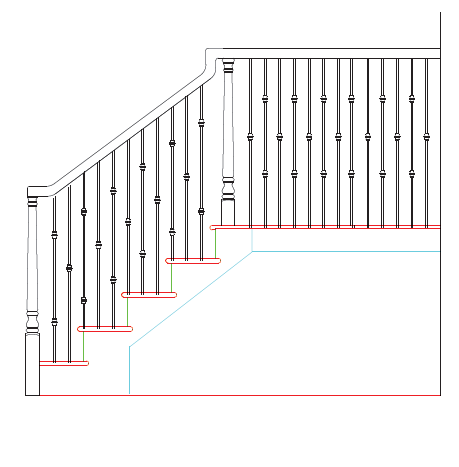 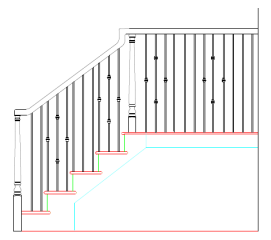 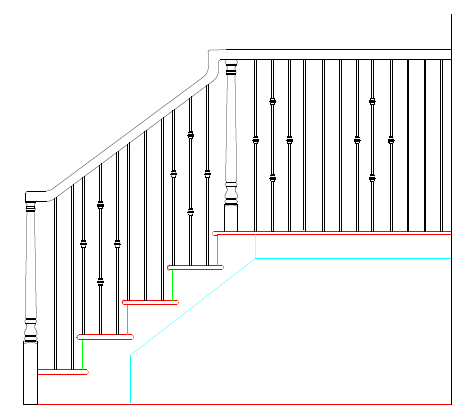 Each one of our curved staircases are designed using the latest CAD software, ensuring that you will end up with the stair of your dreams. 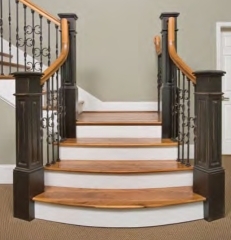 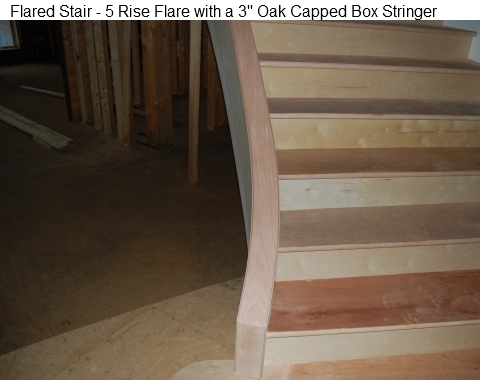 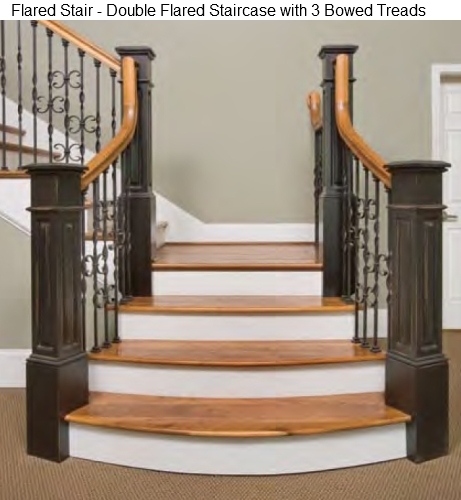 Flared Staircases are very similar to straight staircases except for the first four or five treads are curved. 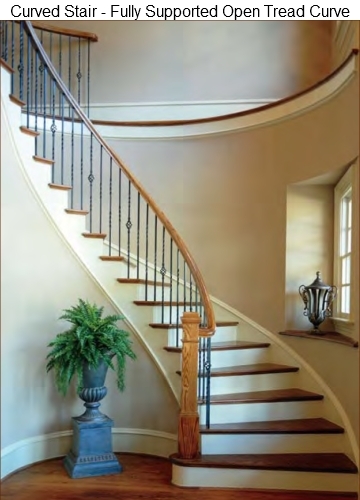 Using a flared staircase takes up less space than a curved staircase but still gives a highly stylistic statement at a great value. 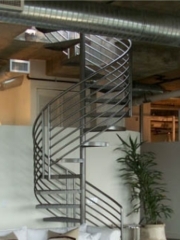 Spiral Stairs are great for tight spaces or as a simple way to get from one floor to another. 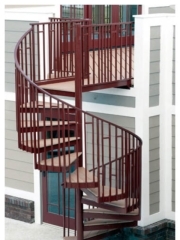 Although they are very artistic to look at they are not very practical as a primary stair. 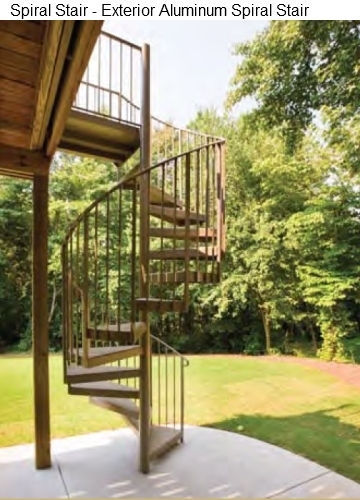 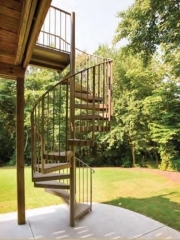 Depending on whether your looking for a spiral staircase thats a functional piece of art to go in your library or as something that will stand the test of time outside in the wheather, we have the craftsman to make it a reality.